Step 1: Glue the craft sticks together using a small line of glue between the sticks. I ended up using a hot glue gun because it was easier and it dried faster. 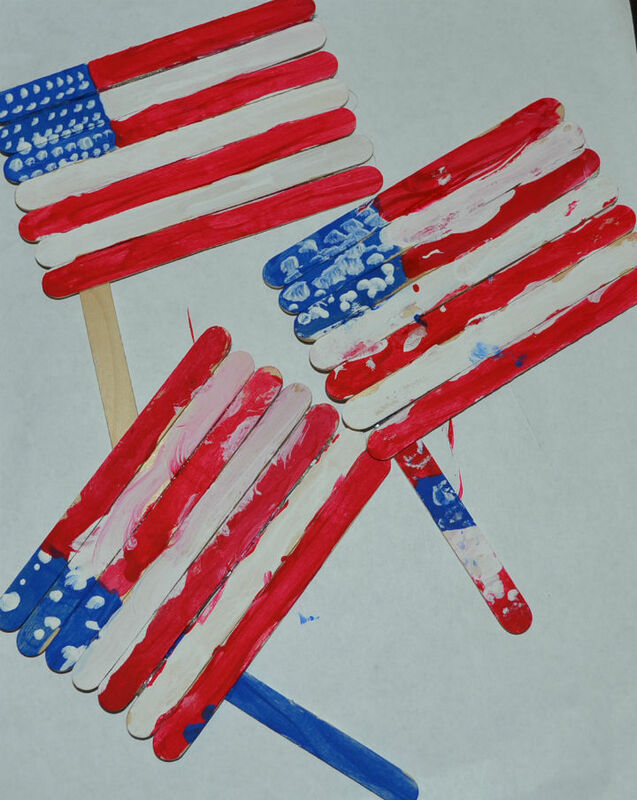 Step 2: Paint the pattern of the American flag on the sticks. Step 3: Add a stick for the pole and admire your work! 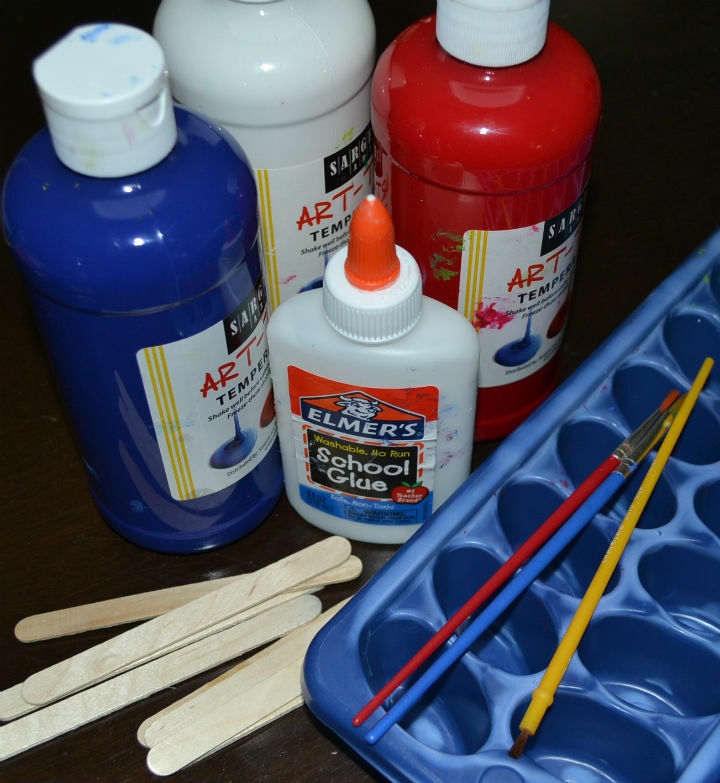 This was a super easy craft and it kept the kids busy for awhile. They actually took their time and followed my example. They did an excellent job in my opinion! Can you even tell which one is mine?